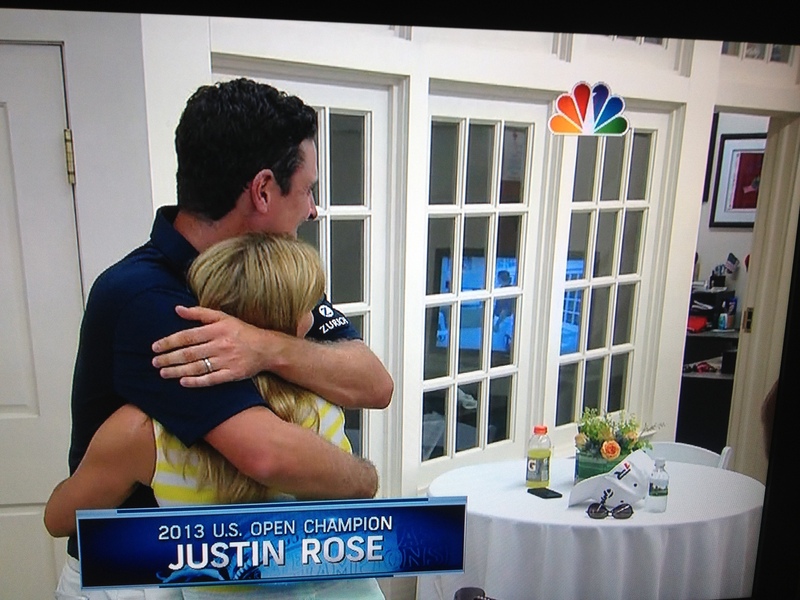 Winner of US Open Justin Rose…finding out he won, my flowers in background. 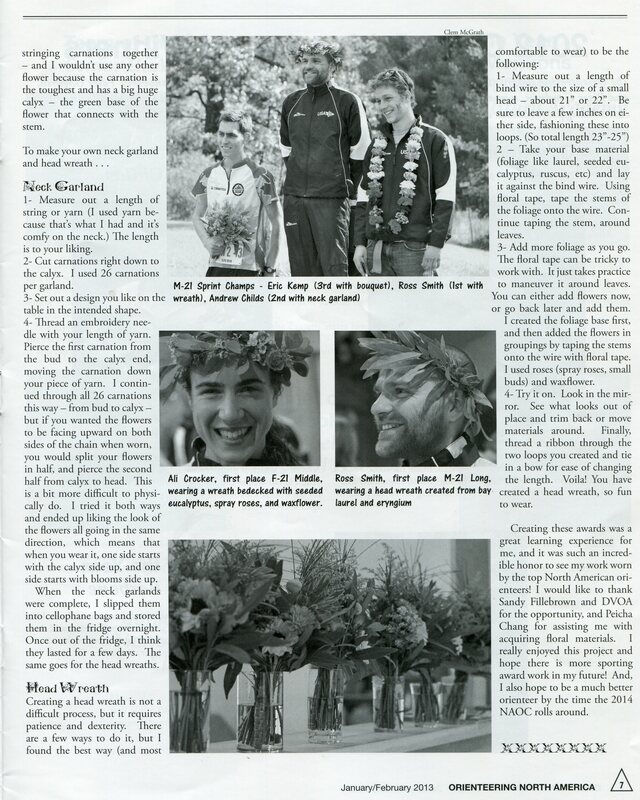 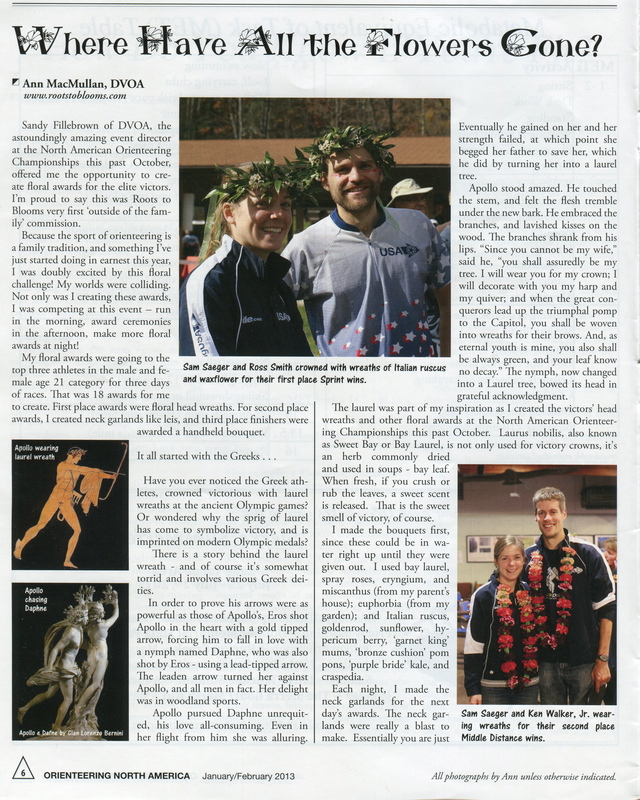 My blog post on Creating Floral Awards at the North American Orienteering Championships was adapted and published in the magazine Orienteering North America Jan/Feb 2013 issue. 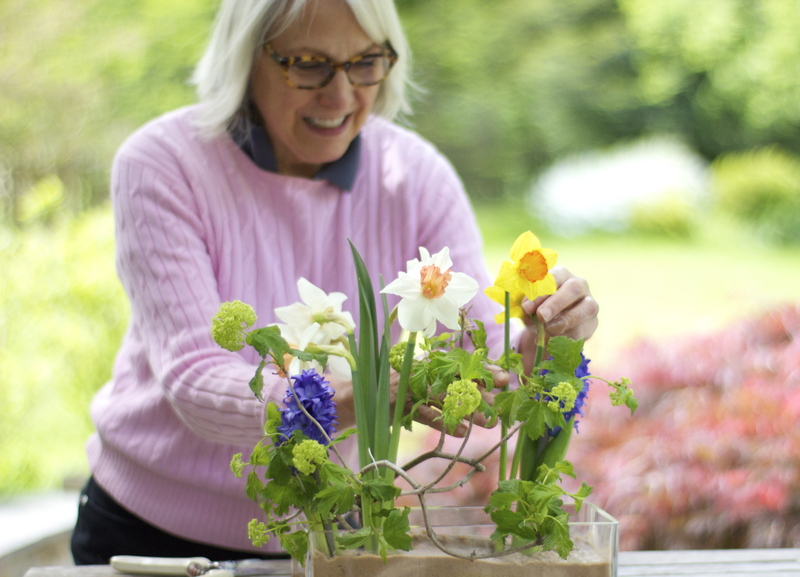 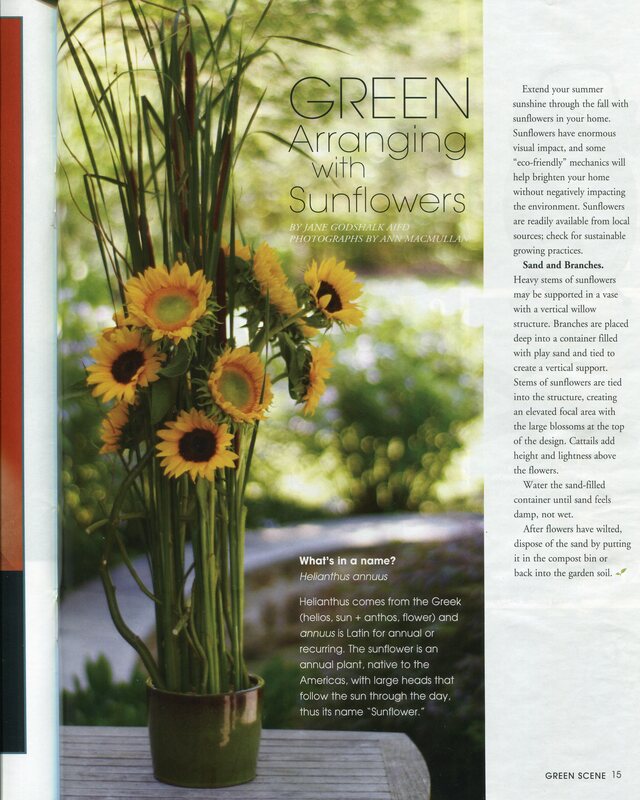 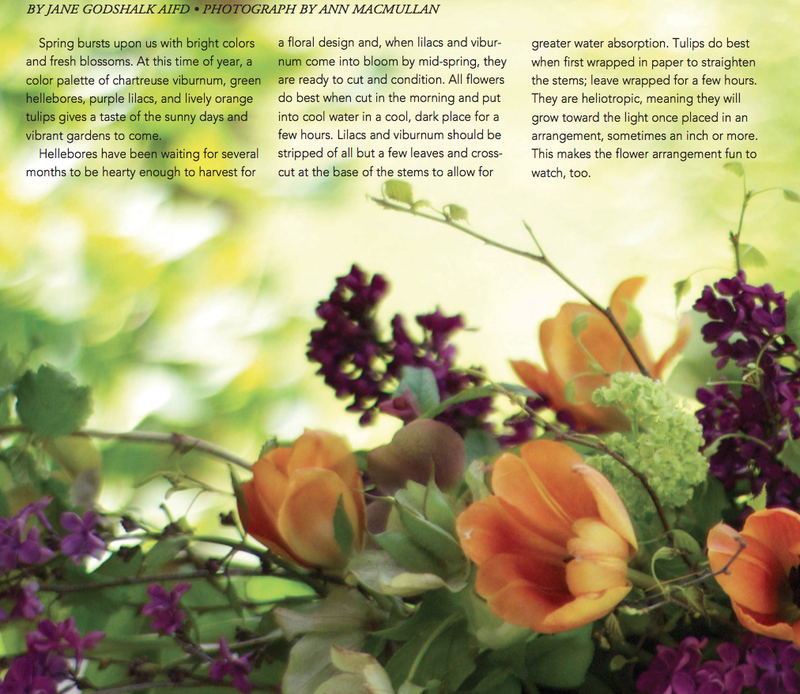 My photos of Jane Godshalk’s floral designs were featured in the Pennsylvania Horticulture Society’s Green Scene magazine Sept/Oct 2012 issue, and May 2013 issue.